Last one of 2017 and First of 2018. 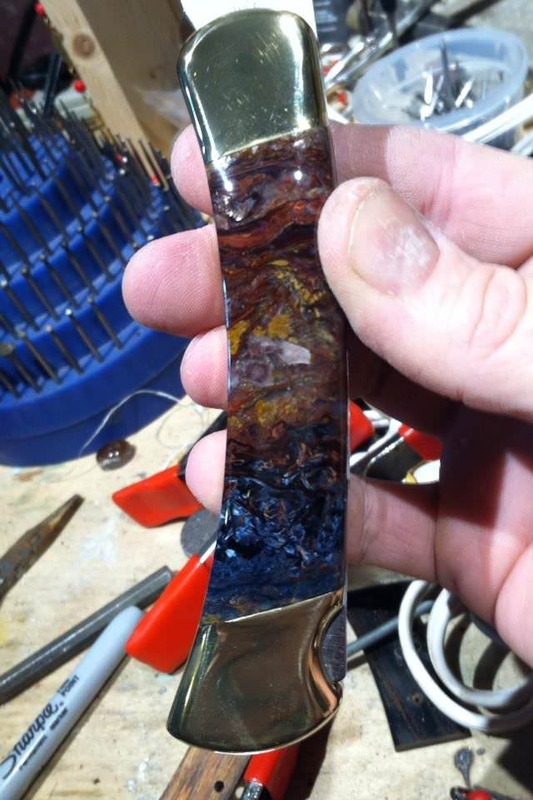 The chrysocolla is real pretty, did you do it for display? The rock is pretty soft for daily carry? 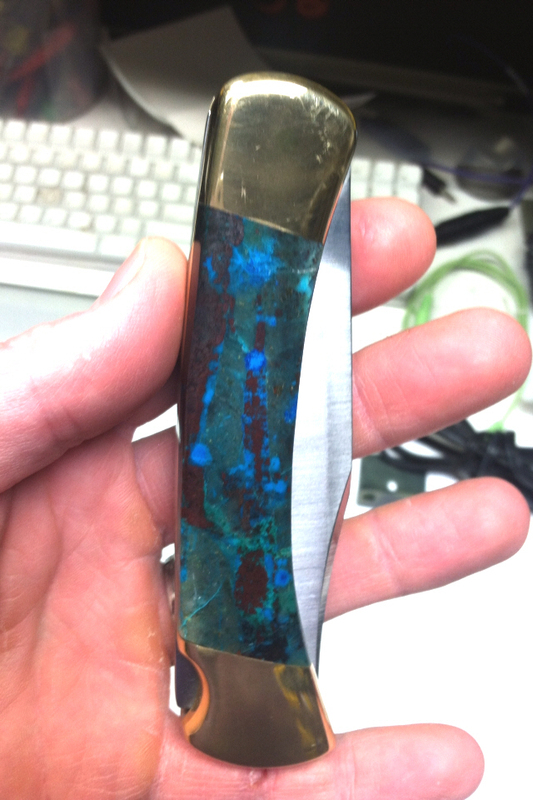 I did a knife for a friend with Congo malachite but he was just going to put in in a display case. 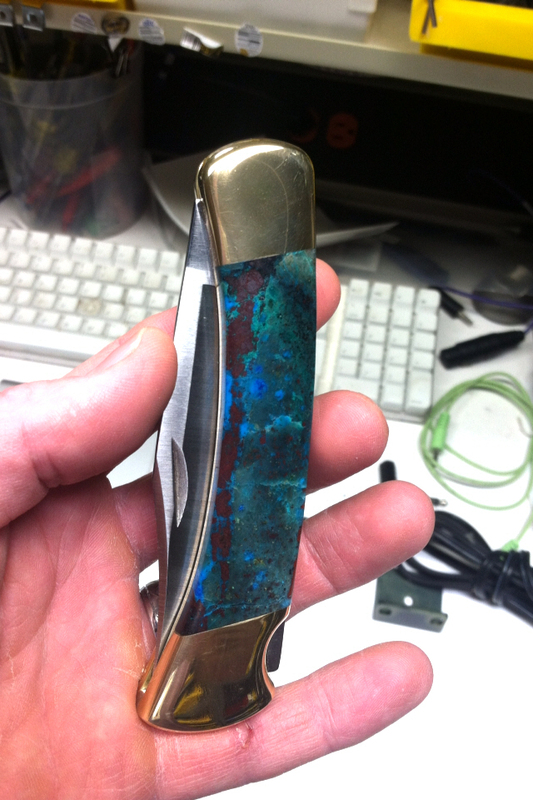 The chrysocolla actually under cut on me using excessive pressure or heat, but on this knife I really like the textured feel on the grip instead of the slippery high polish. 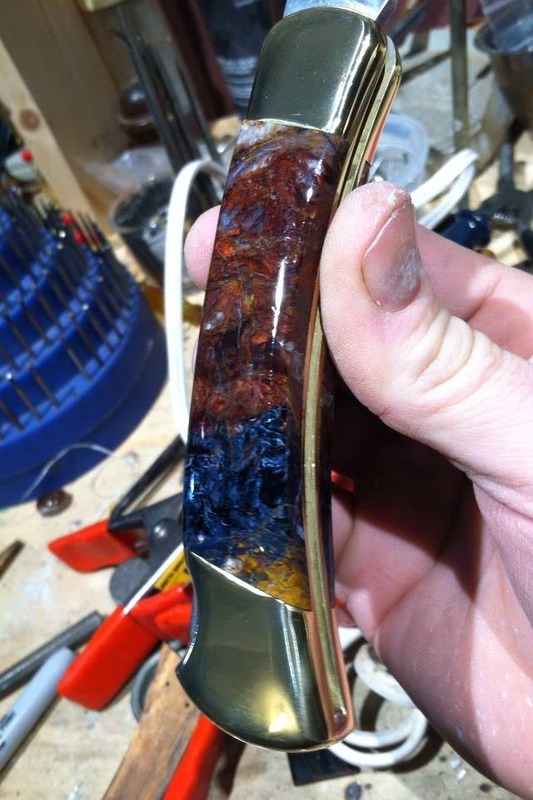 So even though soft, it most likely will be my carry knife. Nice work, great choice of stone.